Hartly loved the idea of meeting Mickey and Minnie Mouse. Right up until it was her turn. He he. Then it was a mild panic that there were two oversized mice near her. Ha! 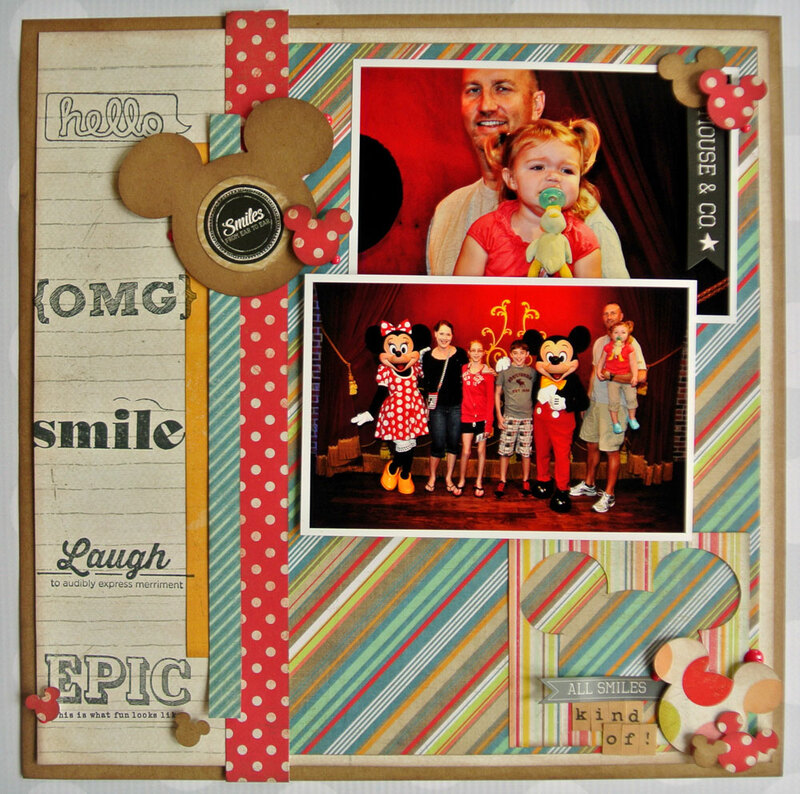 This was created for Super Stashbusters Challenge 5 Stamp It! 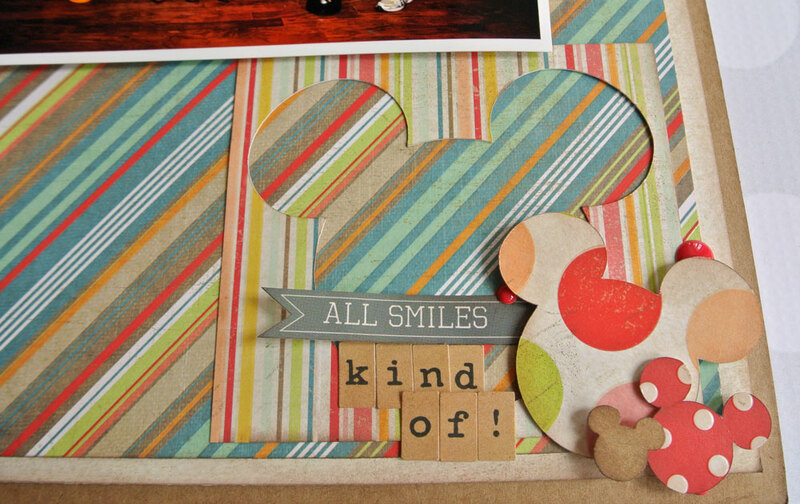 : Use a fun stamping technique on your page. 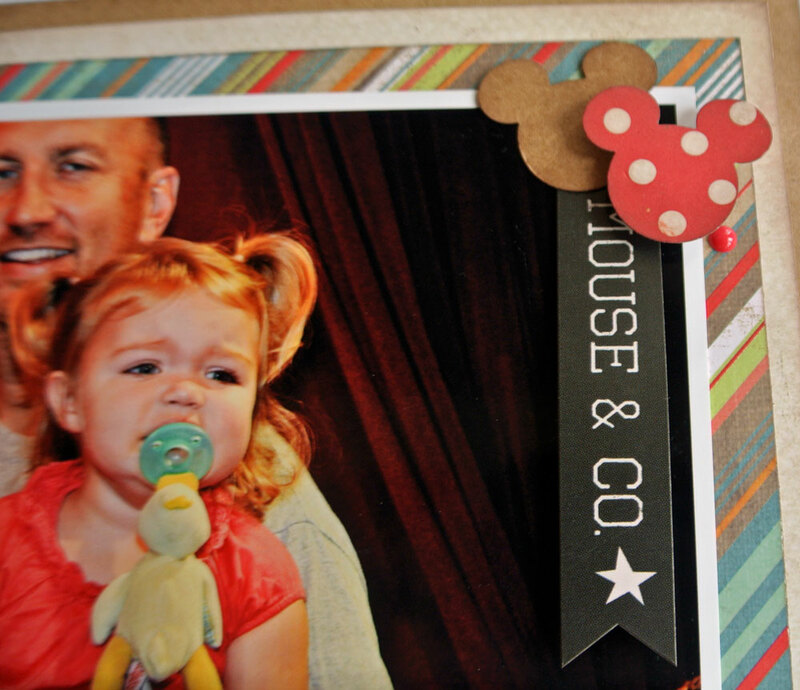 I chose to use a set of Exclamation stamps to mimic Hartly’s reaction to Mickey and Minnie. She started at a friendly hello, but quickly went to an OMG! And by the time we waved goodbye, we had one epic story. 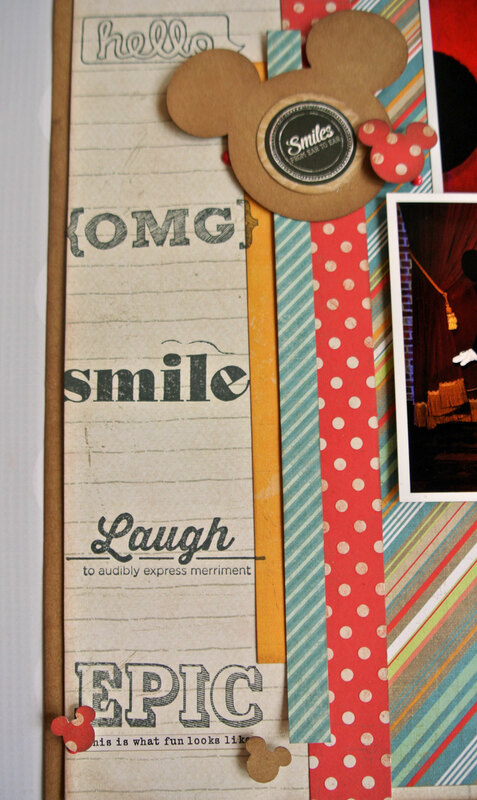 Love the series of exclamations and your choice of paper! Even with her reaction it still is a wonderful family photo you have!